Lawyer.com - Should You Accept the Workers' Compensation Settlement Offer? 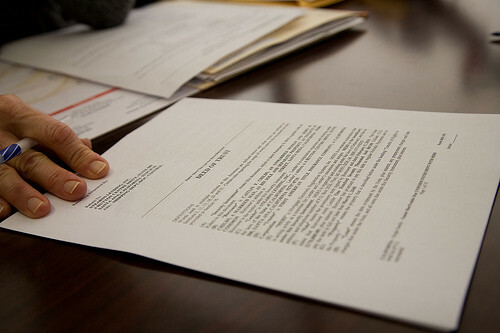 Should You Accept the Workers' Compensation Settlement Offer? Summary: Receiving your workers' compensation benefits is not always as simple as the system was initially designed to be. Since this is a no-fault insurance plan, the insurance company knows that regardless of how your injury occurred, if it happened on the job, they are going to have to pay for your medical care. They may try and alleviate this cost by offering a seemingly generous settlement. However, until your medical condition has been deemed at maximum medical improvement and you are aware of the future financial repercussions of the injury, you should never accept any form of settlement before consulting with a qualified Missouri work injury lawyer. An insurance adjustor's focus is on one thing - to minimize the financial losses to the insurance company. They will typically work at this reduction by offering a low ball settlement. For example, a roofer in Missouri lost his footing on the scaffolding and fell, resulting in multiple fractures over his entire body. The insurance company for the roofing business was quick to jump in with an offer of $73,000, meant to cover the initial medical costs and any incurred in the future. With expert medical testimony, the attorney for the injured worker was able to show how this was an unrealistic settlement considering the permanency of many of the injuries. The testimony forced the insurance company to settle for $350,000 and provide future medical care that included surgery. Many workers' compensation cases which are being disputed rely heavily on the testimony of medical experts who have personal knowledge of your injury. This is the only way in which to make your case a compelling one. While this is a no-fault insurance, there is still certain criteria which needs to be met, and the presence of an injury and its proven financial hardship it creates for you is one of them. No one is better suited to testify to that than a medical professional with years of experience. A Missouri workers' compensation attorney can help you obtain the medical testimony you need. Call The Law Office of James M. Hoffmann at (314) 361-4300 for a free case evaluation.